We started boarding horses in 1998. We soon realized that we loved the boarders' horses as much as our own. Now we have many horses to love and many boarders who have been with us for 10, 15, even 20 years. We know it isn't easy for horse lovers to find a stable where your horse gets top-quality care. Each horse is a one-of-a-kind individual. Our care is for each horse is just as unique. We keep 15-25 horses on the property. We live year-around on the ranch, and joke that we don't like to travel because we live at a bed and breakfast. When we do travel, there is always a trained, knowledgeable horse person at the ranch caring for the horses and watching over everything. We feel so lucky to call such a beautiful place home, with horses a permanent part of the landscape. We would not be successful without the excellent help of our ranch manager, Maynor Leiva. We trust him to love and care as much as we do. He has never disappointed us! 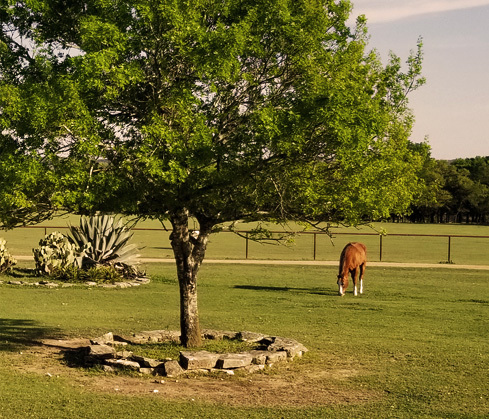 We have a 33-acre grassy ranch with many large trees for shade, plus a 10-horse barn and five big run-in shelters for pasture care horses. Our 100 x 200' arena and 60' round pen provide great footing to work horses. Our wonderful next door neighbor allows us to ride on their property, which gives us a total of more than 50-acre area to ride. Our down-the-hill neighbors sometimes allow us to trail ride to Barton Creek, providing us beautiful trails along the creek when our horses need a change of pace from arena work. It is a breath-taking, quiet trail ride along the creek, but is accessed by permission only. 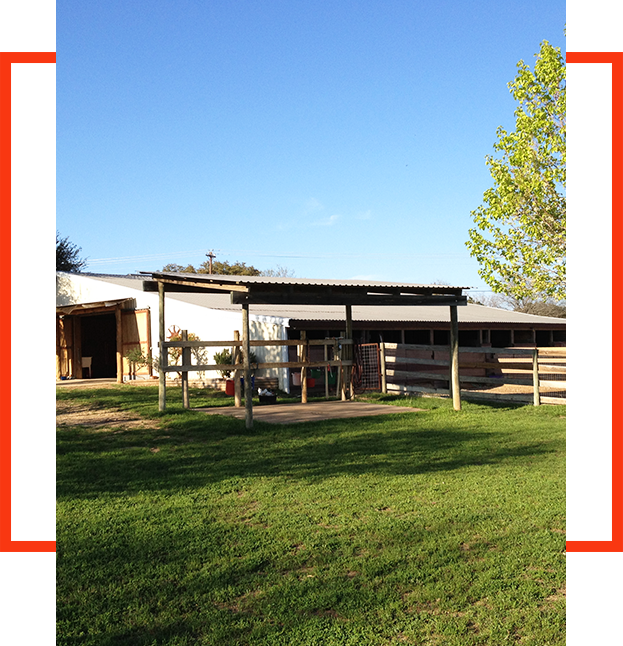 We have a roomy tack room, cross ties and tree ties for grooming and saddling. For bathing horses, we have a covered, cement horse wash rack with room for four horses and plenty of hot water to give warm baths. 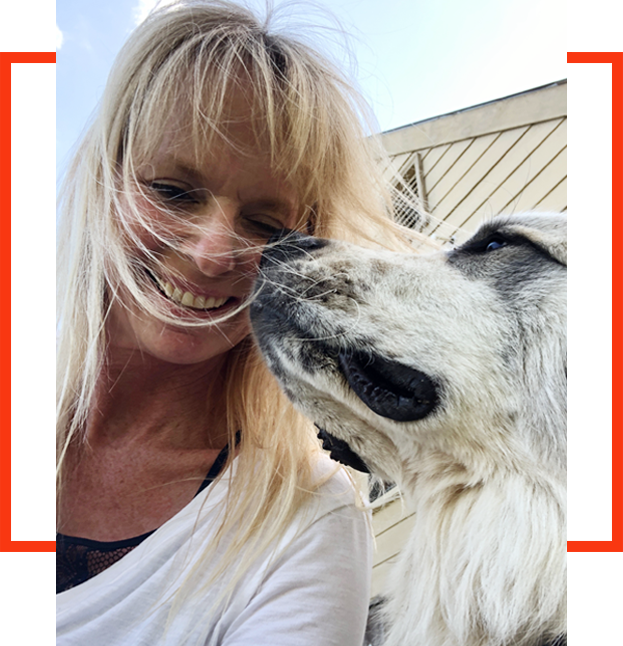 Christi started Austin Stables in 1998 with the help of her loving husband, Chipp Walters and daughter, Mercedes. The continued success of Austin Stables is the direct result of the excellent onsite help she has hired. "We treat anyone hired to help with complete respect. I set the standards high for Maynor Leiva, our ranch manager, continues to exceed my expectations. He keeps the horses happy, healthy and sparkling, the grounds picturesque and he is always ready to lend the customers or myself a hand. His positive attitude is contagious. We both see the privilege it is that our customers trust us with their horses." "We are so touched that my friends trust me with the care of their precious animals. It's a privilege we try to continually earn." "I realized early on, horses are absolutely individuals and so have such different things to offer, and such different things they need. It's been a gift of an adventure-- learning as much as I have here on our place. I kiss the ground every day I wake up here in horse and cowgirl paradise."